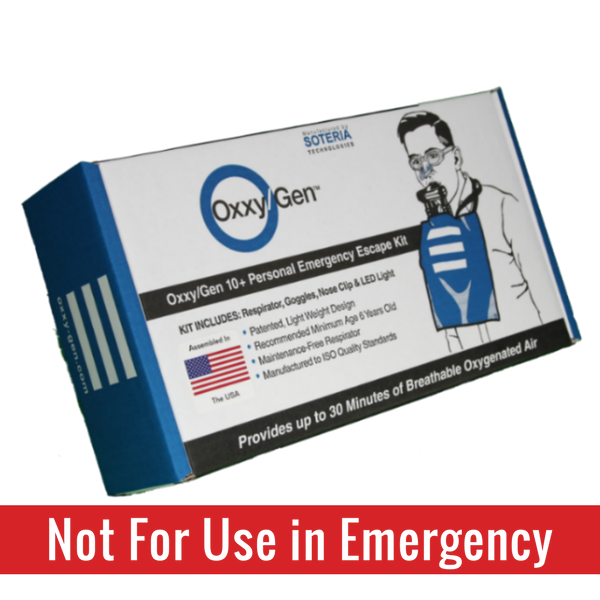 The Oxxy-Gen Emergency Escape Training Kit includes a non-functioning respirator, plus child and adult size mouthpieces. The training kit allows for the experience of putting on the respirator and to practice breathing through the mouthpiece. For training purposes, the mouthpiece that is included with the training kit can be replaced with the additional mouthpiece included with each emergency kit. Note: Training with goggles from the emergency kit is recommended so size adjustments can be made prior to actual use. © Oxxy-Gen 2017. All Rights Reserved.